A stylish engraved pocket watch with a silver plated finish. Add your personal message for a truly unique gift. 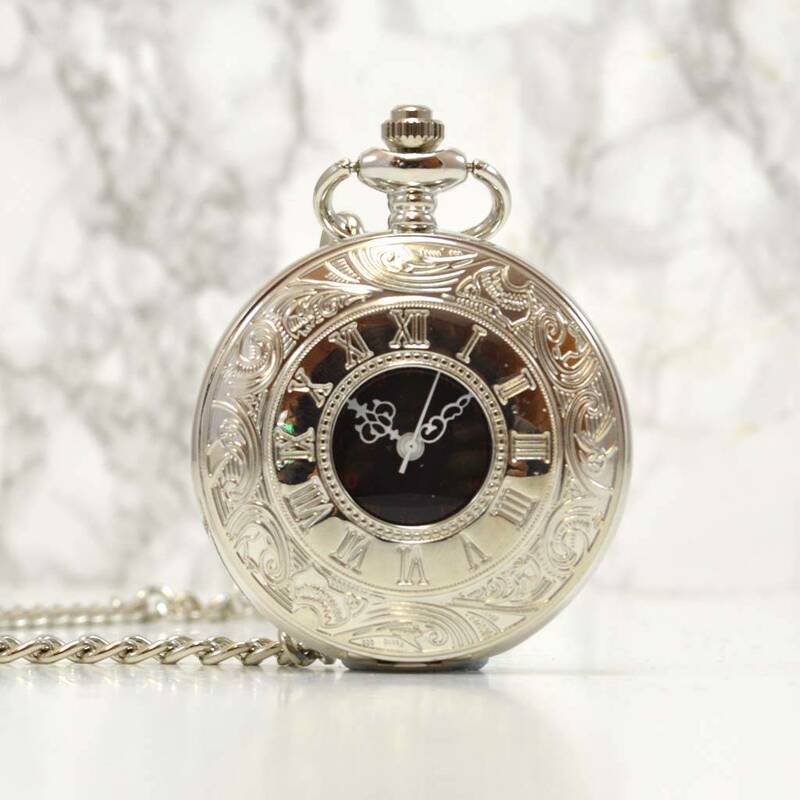 This fantastic silver plated pocket watch with quartz movement features a half hunter design and an antique swirl around the outer edge of the lid encircling roman numerals and the cut out in the centre of the lid, this allows you to see the time without having to open the lid of the watch. The dial of this fantastic watch gift is unusual in that it has roman numerals with the hours of the 24hr clock repeated inside the main numbers. 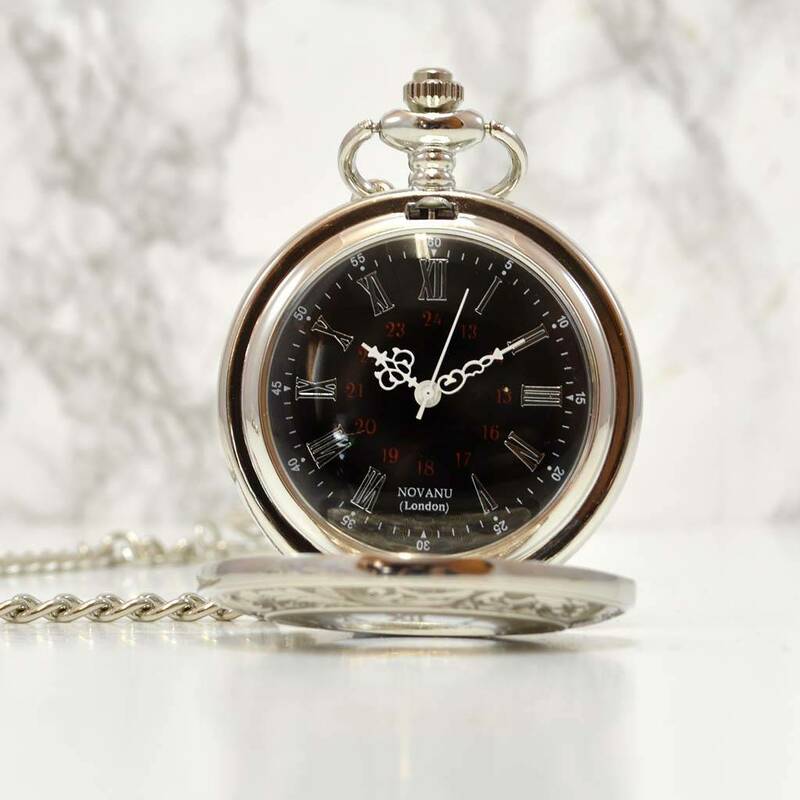 Once engraved your personalised pocket watch gift comes complete with chain and pocket hook and will be sent in a presentation box. This makes the personalised pocket watch an ideal gift for birthdays, Father’s day, Christmas, retirements or any other special occasion throughout the year. 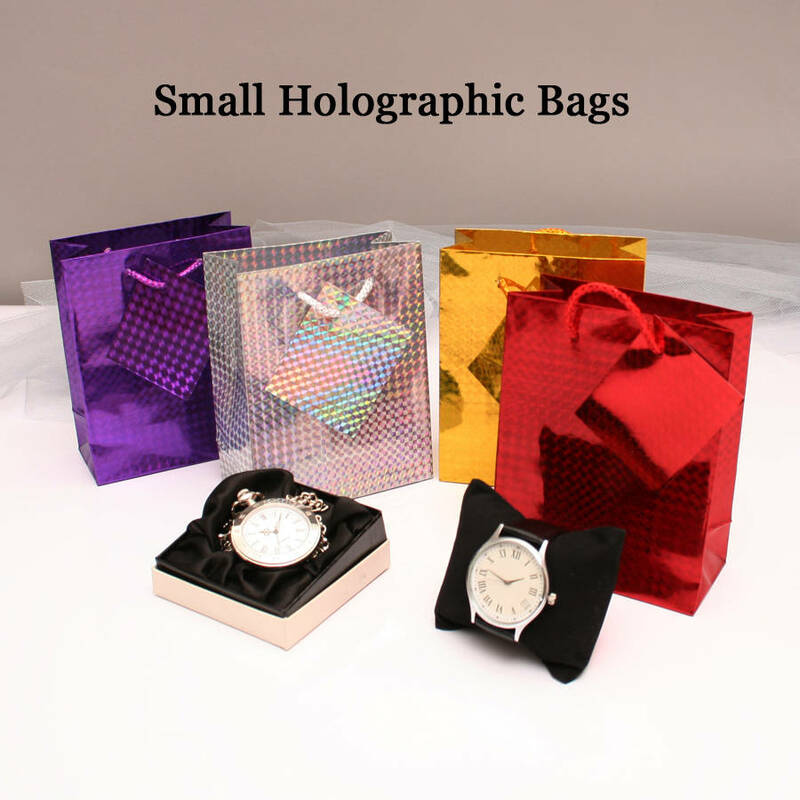 There is room to engrave your personal message on the back of the personalised watch, you may have up to 85 characters over 5 lines (17 characters per line including spaces.). 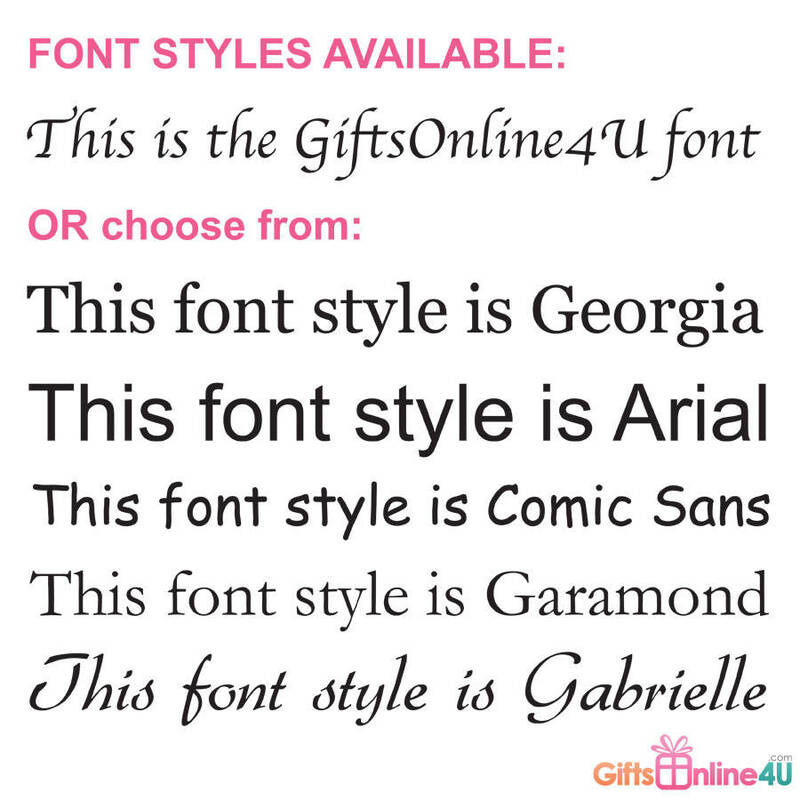 Your engraving will be in our unique font as standard but you may choose another font from the personalisation box if you prefer. 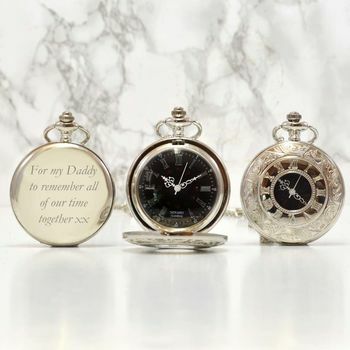 This stylish engraved pocket watch gift is personalised in house so if you have any questions or special requests then please contact us and we will endeavour to work to your requirements.